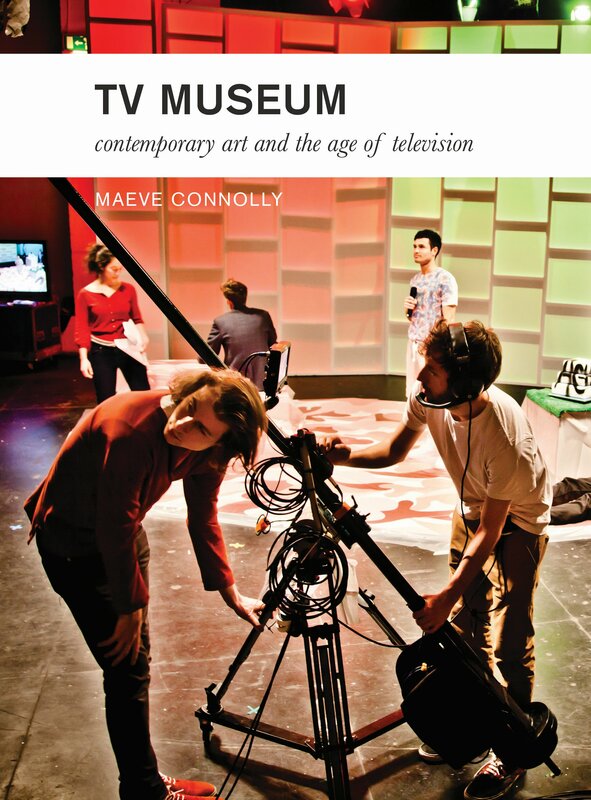 TV Museum: Contemporary Art and the Age of Television, Bristol and Chicago: Intellect Books, 2014. ISBN 9781783201815. A critical analysis of the critique and memorialisation of television in art and curatorial practice, with chapters on exhibiting television; soap and sitcom formats in artists’ video; reality TV and the social turn in contemporary art; artists and TV archives; broadcasting and art in the public realm; television talk in art institutions, and labour practices in art and TV cultures. Review of TV Museum: Melissa Gronlund, ‘Network Theork’, Artforum, January 2015, 31-32, contd. 238. ‘Connolly undertakes a compelling and exhaustive study of the ways in which contemporary artists are re-imagining TV now that it has lost its central position in the arena of mainstream entertainment culture and its products have been remediated across diverse platforms, on and offline. She makes a compelling case for the repurposing or cross-purposing of professional television studios and galleries […]. Connolly gives us hope that the “televisual turn” and the artists she has championed so convincingly in this book, will help to bring what is now a quotidian cultural form back into critical focus’. Catherine Elwes (review of TV Museum), MIRAJ: Moving Image Review & Art Journal, Volume 3 Number 2, 2015, 282-290. Alison Wielgus, (Review of TV Museum), Millennium Film Journal 62, Fall 2015: 51-53. The Place of Artists’ Cinema: Space, Site and Screen Bristol and Chicago: Intellect Books, 2009. ISBN 9781841502465. [The book is now out of print, but an e-book version is available for purchase from Intellect’s website]. Angela Dalle Vacche, Professor of Film Studies, Georgia Institute of Technology (endorsement, back cover). Riccardo Venturi, review of The Place of Artists’ Cinema in Perspective 1 (the art journal of INHA – French National Institute of Art History) 2013: 183-190. (Published in French). ‘This is a timely work – one that formulates ideas about the flowering of film and moving image work that has taken place since the 1990s: something that is only now being reflected upon. As a contribution to this debate, Maeve Connolly’s book is a welcome and a critical one’. Mo White, review for The Art Book, Volume 17, Issue 2 May 2010, pp 65-66. Kate Mondloch, ‘Placing Artists’ Cinema’, Jump Cut 52, Summer 2010. Robert Porter, review for Variant 36, Winter 2009: 36-37. Dan Kidner, review for LuxOnline, October 2009. (Co-editor), The Glass Eye: Artists and Television, edited by Maeve Connolly and Orla Ryan, Dublin: Project Press, 2000: 42-53. ISBN 1872493181. A collection of artists’ texts and projects by Matthew Buckingham, Valerie Connor, Ania Corcilius, Michelle Deignan, Bettina Funcke, Andrea Geyer, Brian Hand, Lana Lin, Dennis McNulty, Andrea Ray and Eva Rothschild, among others. The Glass Eye is available to by from Project Arts Centre. ‘The Glass Eye’ includes artists’ projects created specifically for the book, examples of work in progress and theoretical texts in which artists investigate different aspects of television. [Connolly and Ryan] want the book to act as a starting point for the artists who have contributed and those who will come to experience their work – rather than masquerading as the definite statement that an exhibition catalogue often provides.